The Handwork Studio was created by parents and we know first hand how much trust you place in us when your child attends our camps. 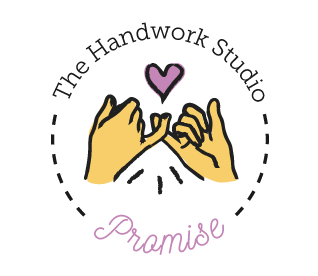 To honor that trust you've placed in us, we're going to make you a Promise, The Handwork Studio Promise. From Merion/South Narberth: Follow E. Wynnewood Rd, turn right onto N. Wynnewood Ave, go underneath the tunnel to enter Narberth, then take the second right onto Windsor Ave. Follow Windsor five blocks, turn right onto N. Narberth Ave, cross Haverford Ave. We're located in the middle of the next block. From City Line Ave: Follow Old Lancaster Rd (by St. Joseph's University) into Bala Cynwyd, bear left to take Montgomery Ave. Turn left onto Haverford Ave and follow into the center of Narberth's business district. Turn left onto N. Narberth Ave.
From Bryn Mawr/Ardmore: Follow Montgomery Ave through Bryn Mawr, Ardmore, and Penn Valley. Take a slight right onto N. Narberth Ave (across from Wawa) and follow into the center of Narberth's business district.